My father-in-law were fans of so many of the same desserts, with our love of apples and caramel at the top of our lists. 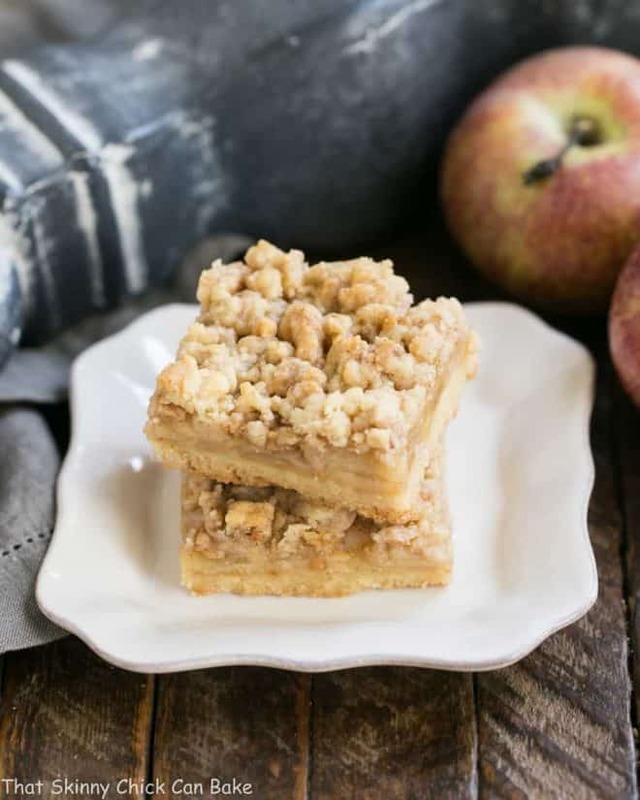 With the hint of autumn in the air, I’m sharing my Favorite Apple Recipes for you to peruse. 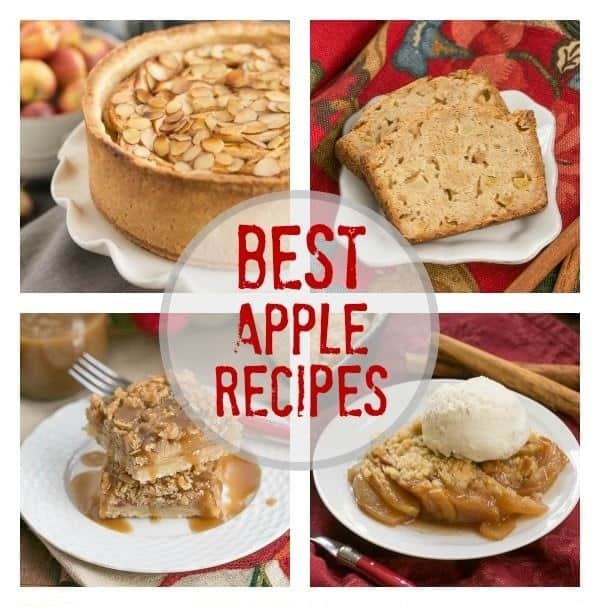 From breakfast to dessert, I’ve got you covered with the best apple recipes! What is your favorite dish to make with apples? Going through all the apple recipes on the blog, I realized that I DO have a penchant for apples! I love eating a Pink Lady or a Honeycrisp apple with my lunch, but cooking and baking with apples is truly a passion. 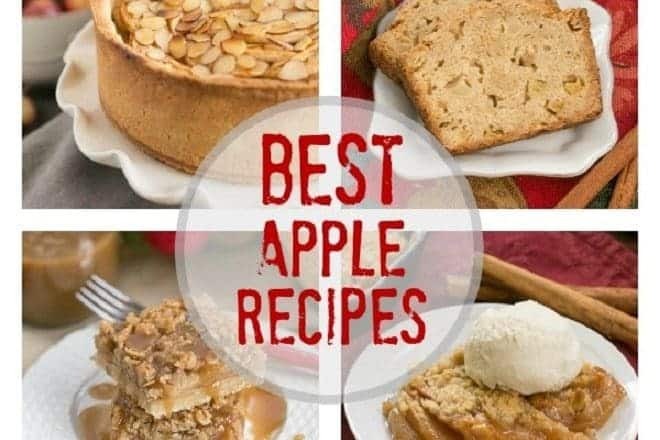 Starting with breakfast and ending with desserts, here are some of the best apple recipes I’ve shared over the last 8+ years! 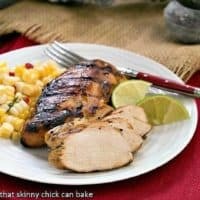 Plus a few notable recipes from some of my blogger friends. Slices of this yummy Cinnamon Spiced Apple Bread are ideal for breakfast, brunch and after school snacking. I’d also be happy with a nice thick slice for dessert! 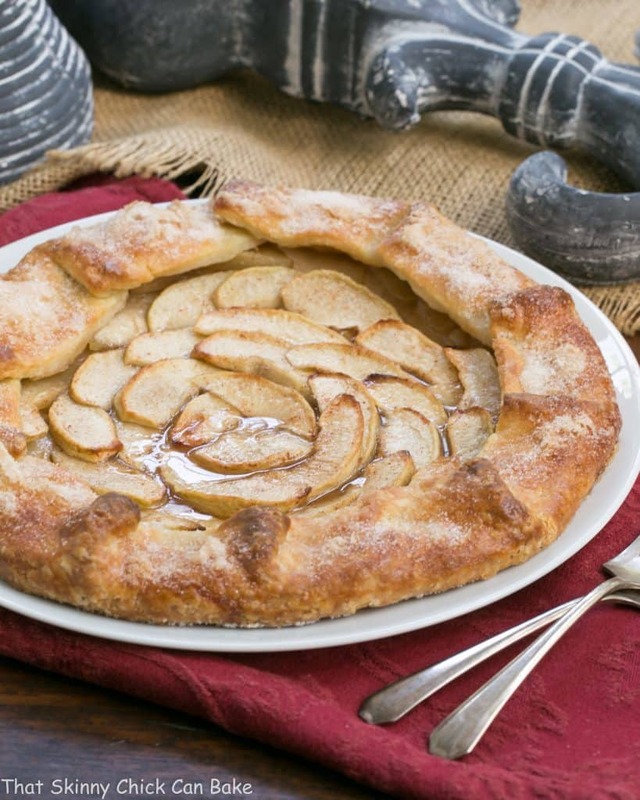 Making a double crust apple pie can be daunting, but you can obtain the same marvelous flavors with an apple tart or galette. This scrumptious Maple Glazed Apple Tart is kicked up a notch with a maple syrup glaze. Folding a single crust up over the edges of a beautiful arrangement of apple slices is certainly simpler than fitting and crimping a top crust. 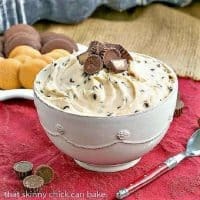 A delicious autumnal dessert! Move over potato chips! 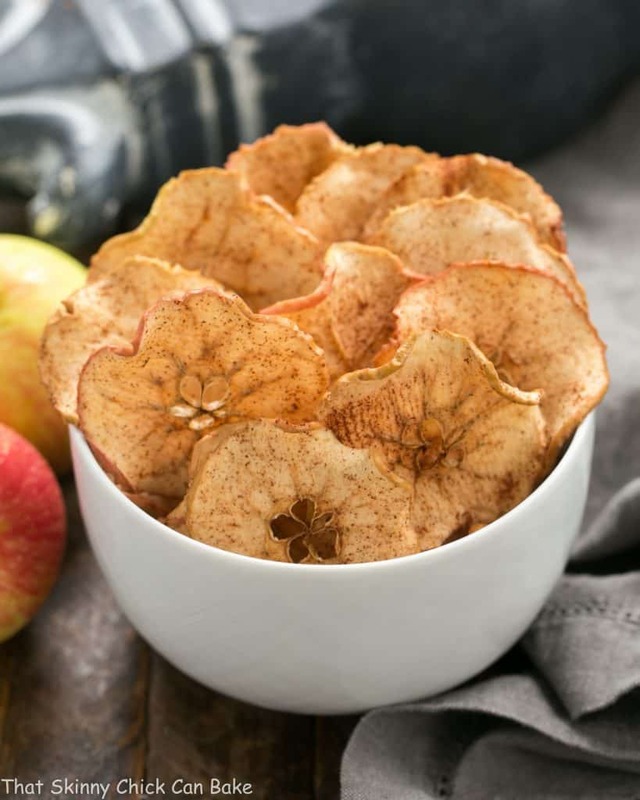 These homemade Cinnamon Apple Chips are just as addictive and healthier to boost! A long stint in the oven turns super thin apple slices into a marvelous snack! 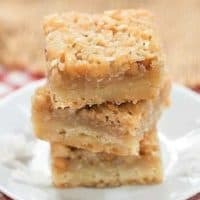 With a shortbread crust, sweet apple slices and an oat crumble, these Caramel Apple Streusel Bars are one of my favorite apple treats! 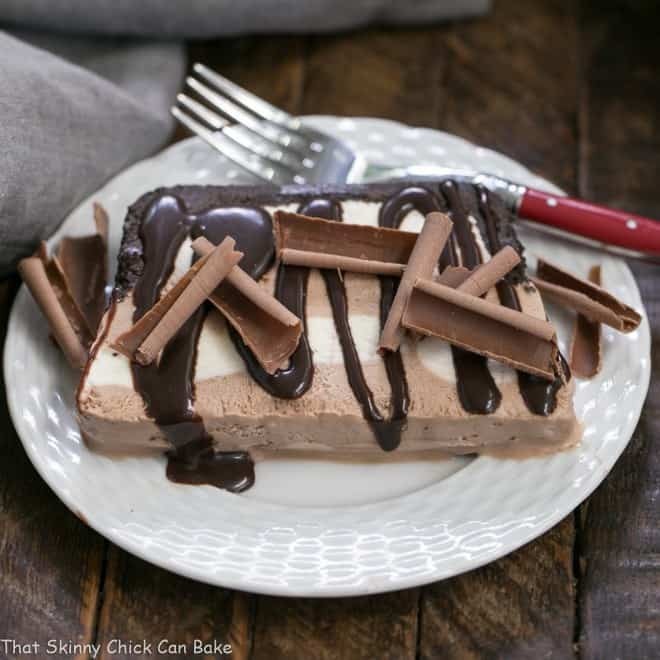 Make sure you serve them with a drizzle of caramel sauce! 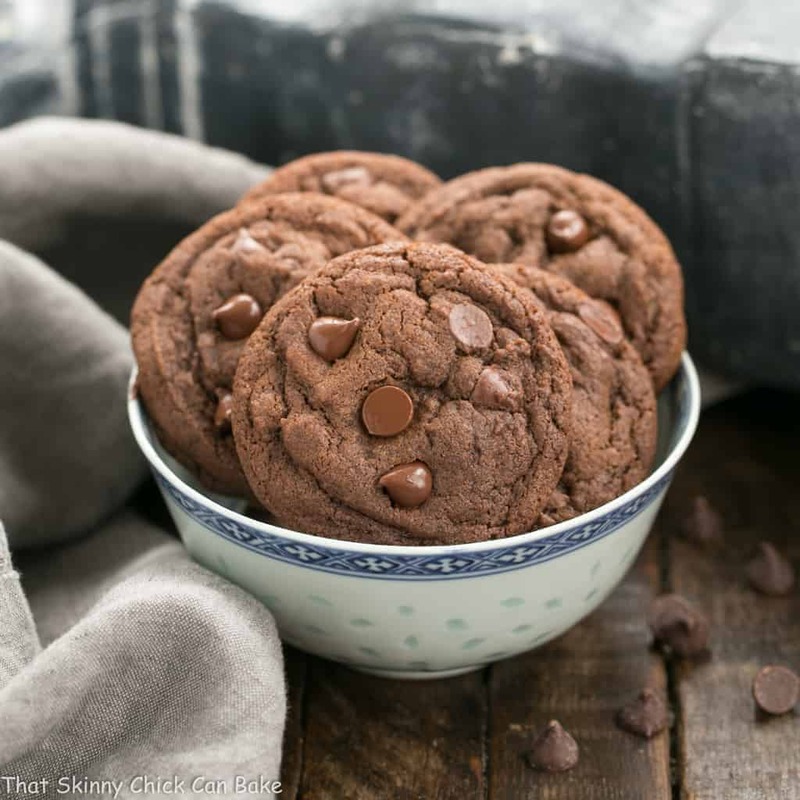 You’ll have trouble restraining yourself with these gems in the kitchen! 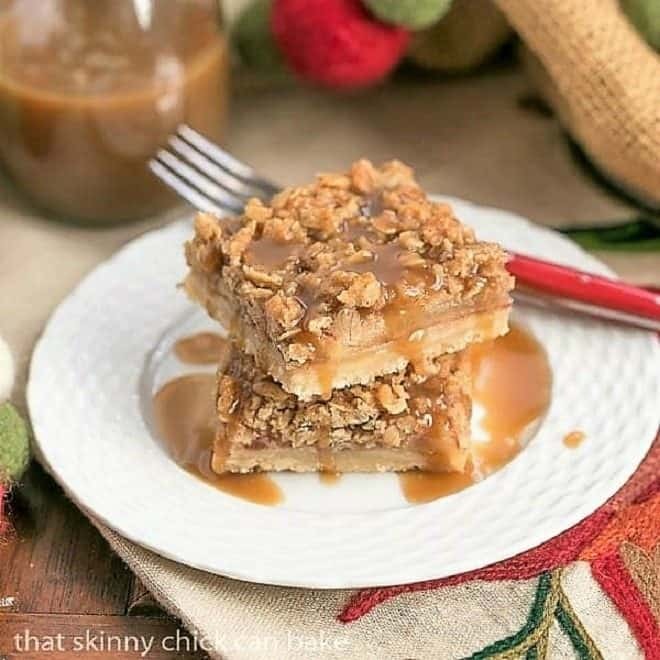 Similar to my caramel apple streusel bars, these tasty Caramel Apple Pie Toffee Bars have the bonus of a sweet crunch from bits of toffee! This fall spiced Mulled Apple Cider is a fun, tasty alternative to a hot mug of coffee or tea when the temperatures plummet! 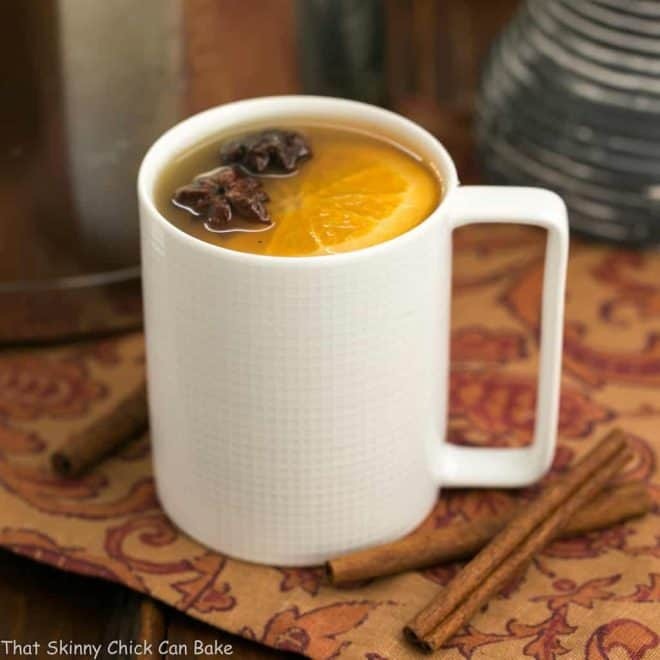 Keep this recipe handy for the next time you have friends or family over this fall for a non-alcoholic, hot beverage offering! If you want an impressive dessert, dig out your springform pan stock up on baking apples! This lovely, towering Cream Cheese Apple Torte starts with a buttery pastry crust followed by a layer of cream cheese filling and finally lots of sweetened cinnamon spiced apple slices. The resulting dessert is downright terrific! This Cream Cheese Filled Apple Bundt Cake combines two of my favorite desserts: apple cake and cheesecake! Not cheesecake per se, but a sweetened ribbon of cream cheese that’s super luscious and helps transform a simple Bundt cake into a memorable dessert! Apple crisp appears on our autumn menu every single year! But the hubby was especially impressed when I “baked” it on our grill. 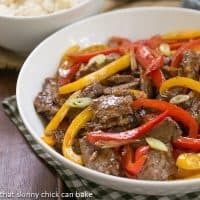 The smoky undertones offered a delicious twist on an easy classic recipe! Besides this Grilled Apple Crisp, make sure to check out this Easy Slow Cooker Apple Crisp, too. 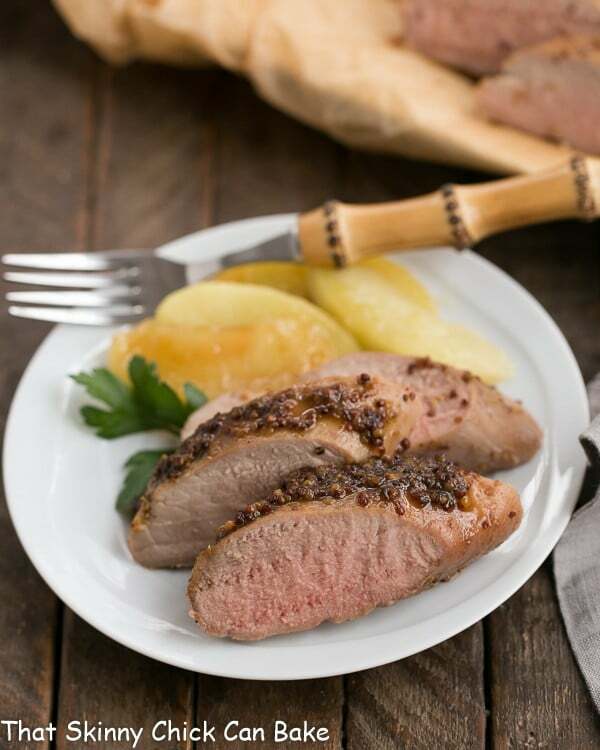 This moist and flavorful Apple Mustard Pork Tenderloin starts with a quick brine, then roasting and glazing with a mixture of reduced apple cider, brown sugar, soy sauce, Worcestershire and grainy mustard! Super easy and elegant enough for company! If you’re looking for a quick lunch or dinner idea, a panini always hits the spot. 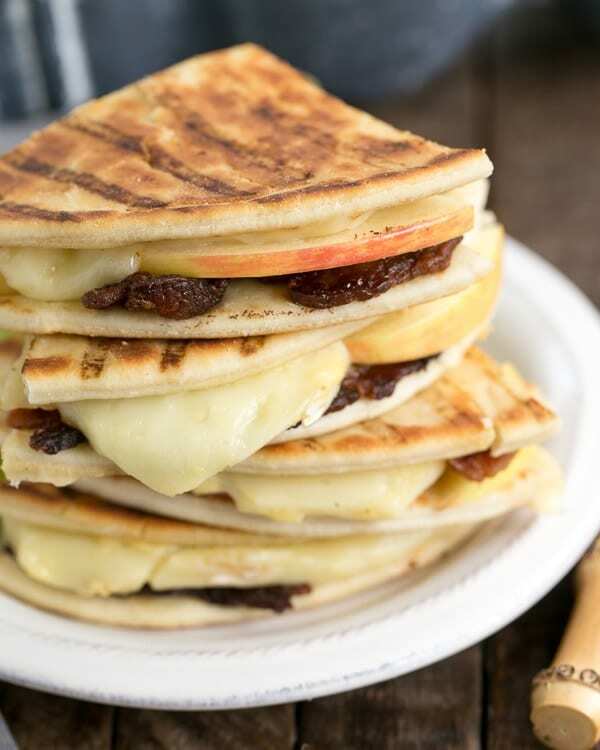 With gooey Brie, salty bacon and crisp apple slices, this Bacon, Apple and Brie Panini can be made on your favorite bread and cooked on a panini press, grill pan or regular skillet! 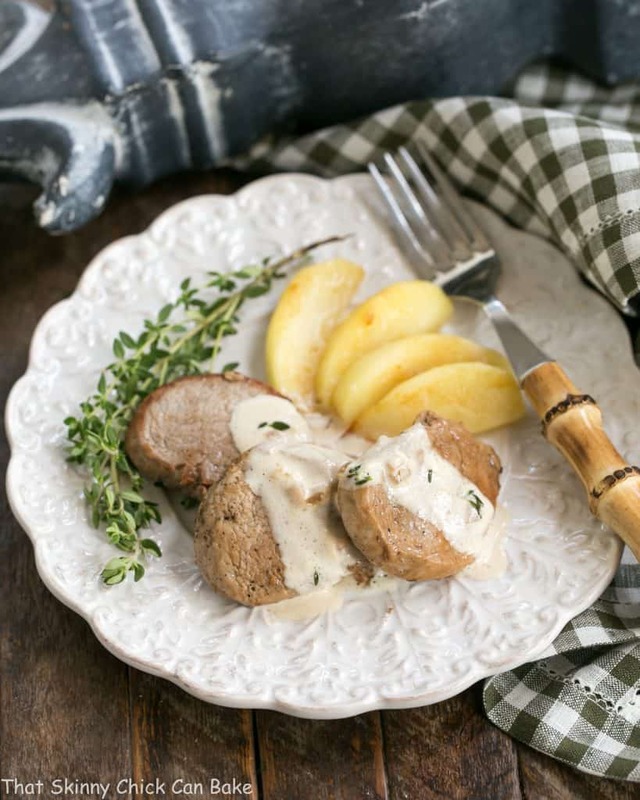 I adore these Apple Topped Pork Medallions, especially the sauteed apples. I always have to make extras to sample, for quality control, of course! The cognac cream sauce isn’t too shabby, either! French Apple Cake – a Dorie Greenspan recipe that has a high apple to batter ratio! It’s packed full of apple chunks. Tea Poached Apples – poached in a sugar syrup, these lovely apple halves are a healthier, yet memorable dessert option! Dutch Apple Pie – a crumb topping makes this a super easy apple pie, plus the streusel topping is irresistible! Maple Glazed Apple Tart – made with puff pastry with a touch of pure maple makes this the ultimate fall dessert (or breakfast treat!). 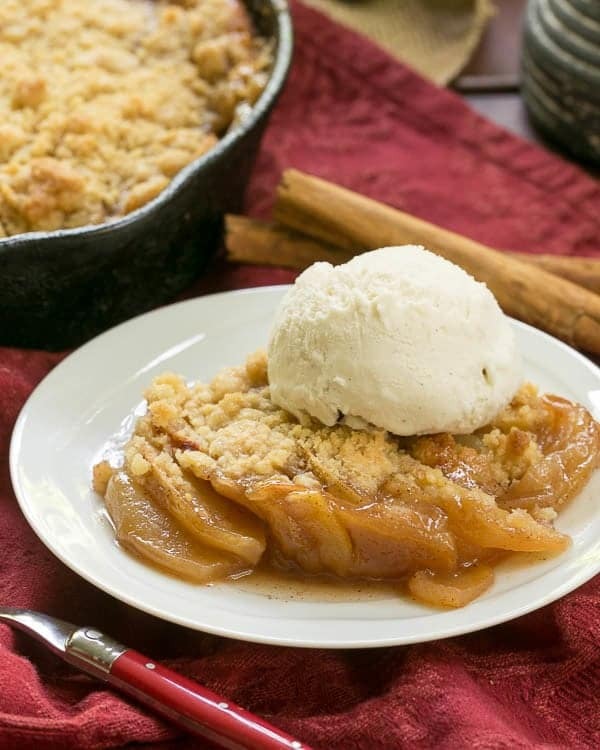 Old-Fashioned Apple Cobbler – cobblers aren’t just for peaches! I’ll have a little taste of everything please:@) Apples are a big fan favorite here, I know my sons are ~patiently~ waiting for a pie soon… Happy Football Sunday Liz-enjoy! 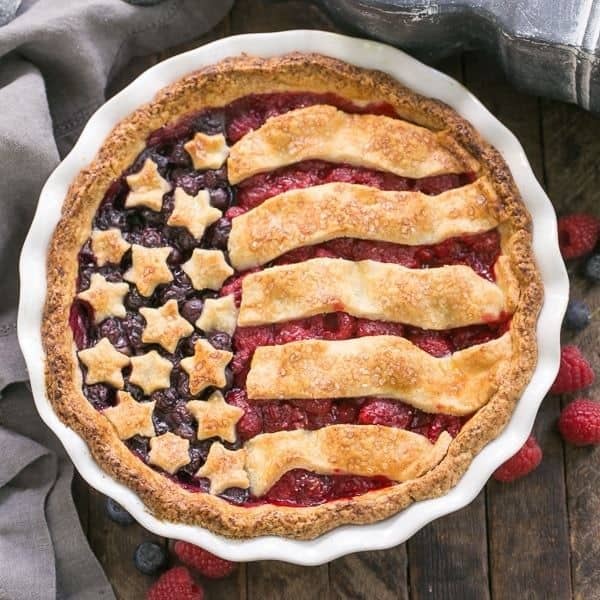 Wow what a great round up of recipes I especially like the apple chips I never tried that and I love the filling cake oh I will have fun with this post trying them all Apples are my favorite! What a great collection of apple recipes. I love the sautéed apples recipe with the pork tenderloin medallions. Apples and pork are the best combo! 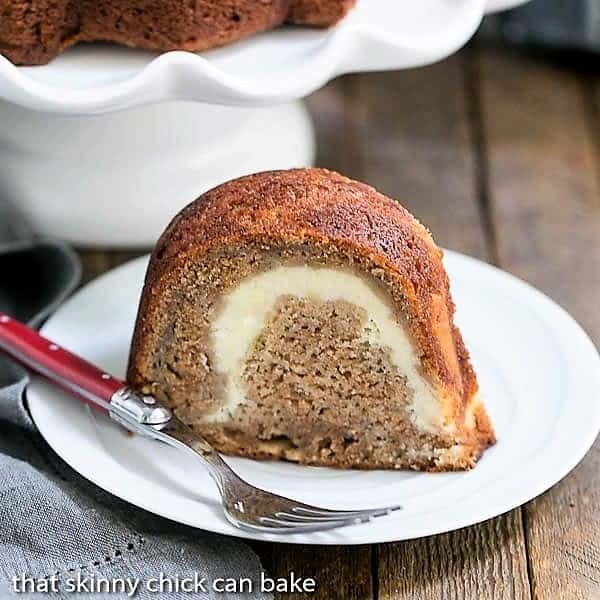 Oh and that cream cheese filled bundt cake looks amazing. You do have apple recipes! What a great way to start fall! Not sure which will be my new favorite but I can’t wait to try some of them…especially that bundt! I have to pick one as my favorite? That is NOT an easy task. I’ve been through the post twice and after careful consideration decided to go with the Cinnamon Spiced Apple Bread. I’m making that first. I love apples. 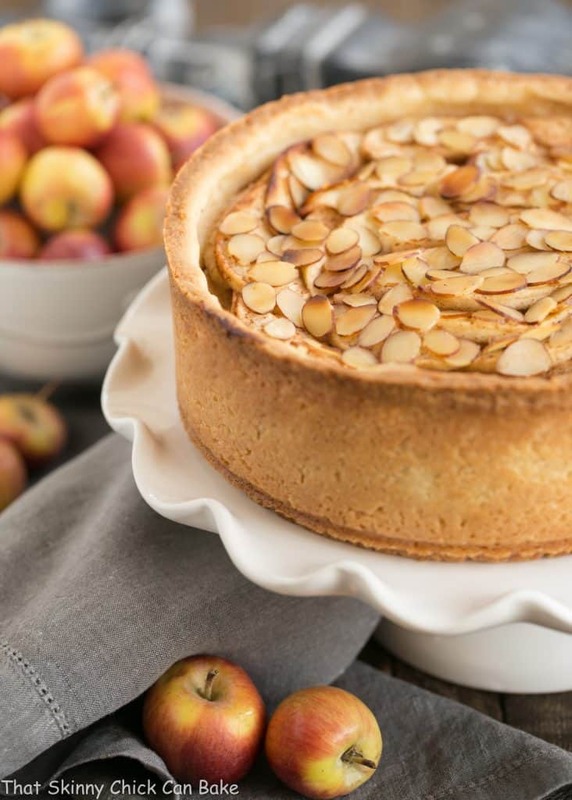 Hi Liz, it is such a coincidence…I just posted a recipe with apple…and I am loving all the recipes you have it here…don’t know where to start…mulled apple cider or cream cheese apple torte. Thanks for the round-up…have a wonderful week! It’s high season for apples, here in Wisconsin and your wonderful collection of useful apple recipes will come in very handy! Thanks for the great collection. 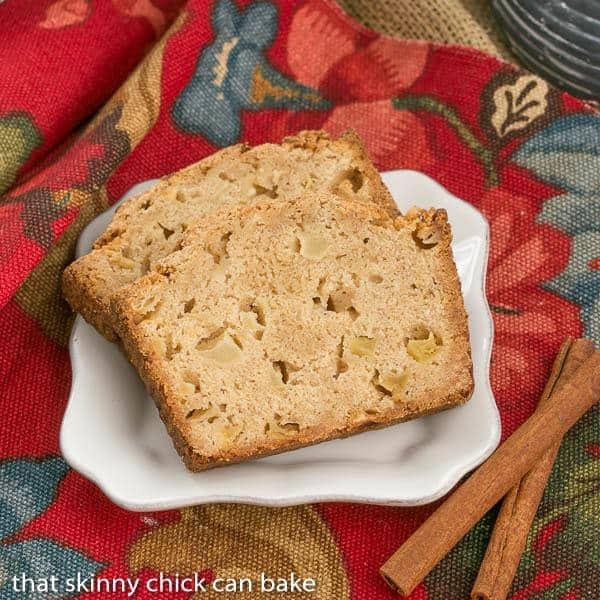 I adore baking with apples and these recipes all look so delicious! The first one I’d like to try is the torte. What a beautiful presentation!